Malta is a colourful country with multiple faces. It is not easy to find a country that has so many different kinds of lifestyles packed up in a relatively small territory. While the central and northern areas are growing to be just as cosmopolitan as major european cities, people tend to forget about the regions that are showing a slower but definitely stable progression. This article will guide you through the sometimes underappreciated southern rural villages of Malta. 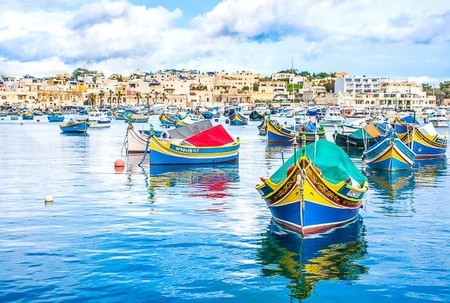 Marsaxlokk, Birzebbuga and Marsaskala are like little pearls of the Mediterranean, laying at the south-eastern shores of the Maltese island. The name “marsa”, which means port, and “xlokk”, which stands for south-east. 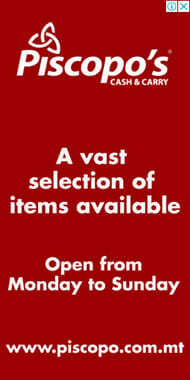 The biggest attraction you are going to see here is the open-air market operating every day. However, during sundays, the rows of stalls are extended by an even larger market with the best quality of fish and other types of seafood, freshly arriving straight from the morning’s catch. 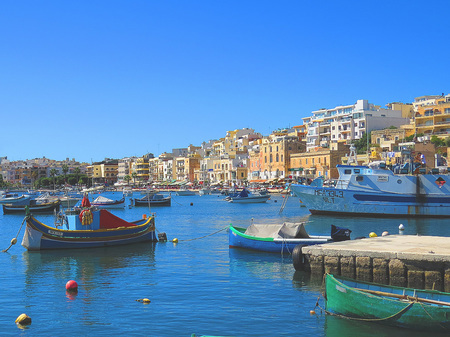 Being the biggest fishing village in Malta, there’s no surprise that Marsaxlokk supplies the whole country with fresh fish. The best seafood specialities can also be found here, in the lovely restaurants located all along the harbour. Luzzus, colorfully painted, decorative and traditional fishing boats are remarkable details of any picture taken at the bay. The widely known Pretty Bay with its Miami-like atmosphere and palm trees are often the most busiest beaches of the southern Maltese shores. If you are intrigued by this lovely village read our article about marsaxlokk. St. Peter’s Pool is a must-see spot for everyone wishing for a unique sight and adrenaline, since it’s high rocky sides are surrounding one of the most spectacular natural pools of Malta. Excellent diving and swimming area with crystal clear water. It’s quite remote, meaning that you will always find a place for your towel, and due to the highly laying rocks, you will have the chance to stay in the shade during the heat of the summer months. If you are in a search of shallow waters with easier access then the Delimara sandy beach and Kalanka Bay will be the perfect spot for your day by the sea. The small village is located at the northern side of Marsaxlokk. Famous of its fortifications and also can give place for an indeed quiet and relaxing atmosphere. The village surround a long bay, commonly known as Marsascala Creek. The area hold a population of 20 thousand people in the summer and a approximately the half of it in the winter, do to its laid back and quiet nature. If you would like to venture a bit further away, I highly recommend you visit the list of the top things to do in Malta.